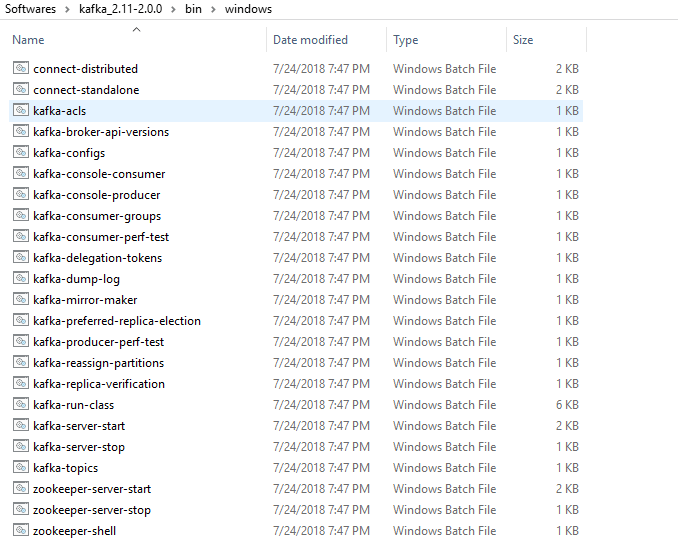 This guide helps you to understand how to install Apache Kafka on Windows 10 operating system and executing some of the basic commands on Kafka console. Install JRE before you further. Download the latest Apache Kafka from the official Apache website for me it is 2.11.2.0.0 release. Click on above highlighted binary downloads and it will be redirected to Apache Foundations main downloads page like below. Select the above-mentioned apache mirror to download Kafka, it will be downloaded as a .tgz. Extract it and you will see the below folder structure. /bin directory represents all the binary files which are helpful to start Kafka server different operating systems. 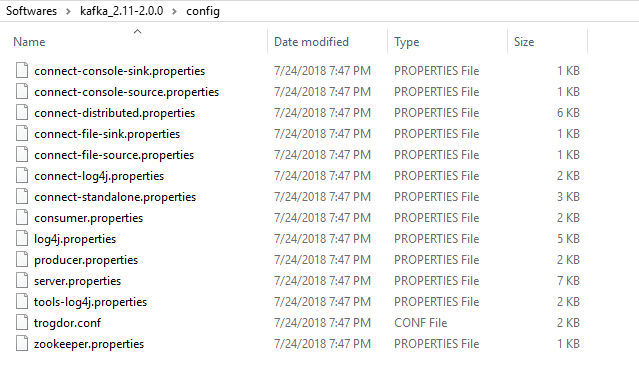 As we are working with the windows machine, there will be a folder named windows under /bin directory, which has all the windows related stuff. /config directory contains all configuration details about Kafka server, zookeeper, and logs. All configurations have their default values if you wanted to change any config details like port you can freely go and change accordingly. /libs directory contain all dependency executables like java, jetty, log4j and etc. If you are okay with the above default configurations, you are ready to start zookeeper and Kafka server. Note: Should start the zookeeper prior to Kafka server. You can see the logs, we have successfully started the Zookeeper and Kafka servers. If you see these messages on consumer console, you all done. Then you can play with producer and consumer terminal bypassing some Kafka messages. Thank you very much chandrashekar, Followed your post as it is and it works like a magic . 🙂 saved lot of time.